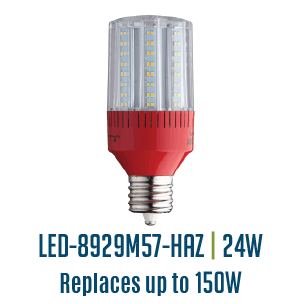 Light Efficient Design's Hazardous Location LED retrofits make it easy to to upgrade aging, costly hazardous location fixtures. 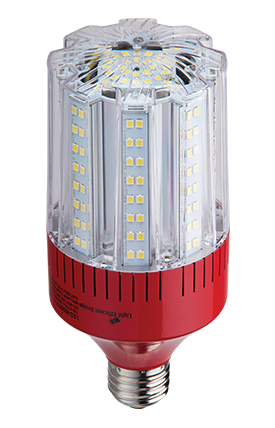 These lamps are perfect for hazardous locations such as nuclear reactor sites, oil refineries, oil rigs and mine tunnels. 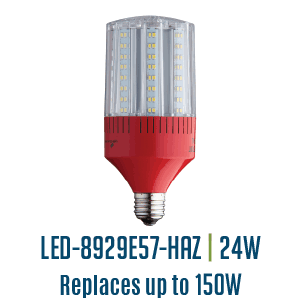 All models utilize our Advanced Active Cooling technology delivering consistently higher LED efficacy and life when placed within enclosed hazardous fixtures. UL Listed for use with Crouse Hinds Champ VMV fixtures, GE Filtr-Gard H2 fixtures, Appleton MercMaster 2, and Appleton MercMaster 3 fixtures.